I love warm soup when the weather is cold and who doesn't love crock pot meals? It's so nice just to put all the ingredients in the crock pot and forget about it while I do something else (like try new Pinterest pins!) Dinner is ready and the crock pot does all the work! This recipe comes from Jamielyn at I Heart Naptime (Go here for recipe). I used hot rotel tomatoes instead of the mild ones by mistake (oops!) so we had some really spicy soup, but everyone still agreed it was delicious. It's a good thing that everyone liked it as much as they did because the recipe makes a huge amount of soup! With our small family of three, we were eating this for breakfast, lunch, and dinner to get it all gone! There's really no way to half the ingredients, so next time I'll just freeze the leftovers in the freezer for another easy dinner. 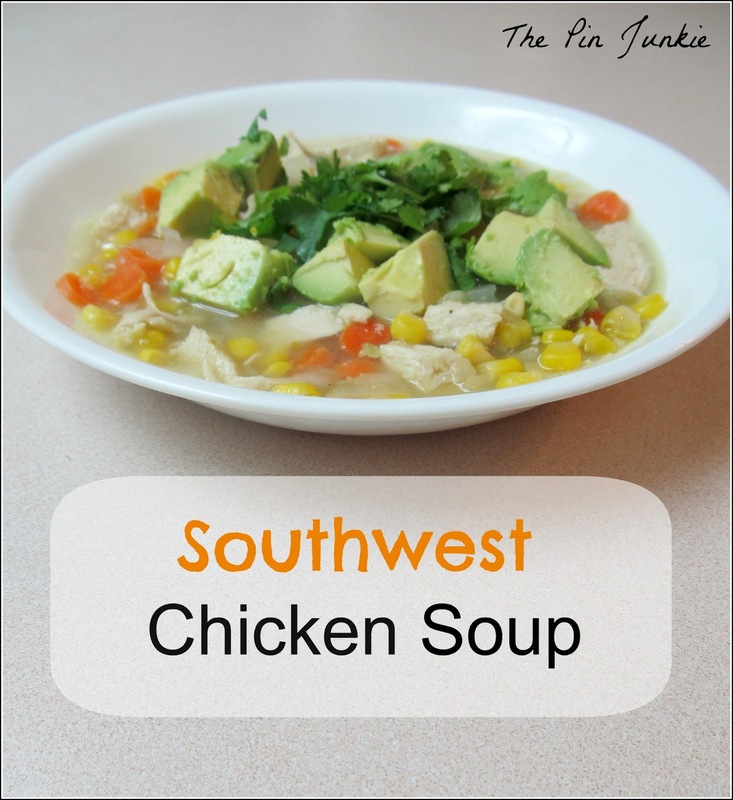 Inspired by this pin for crock pot chicken enchilada soup. This looks like a good soup to come home to on a cold night. Thanks for sharing it with us on foodie friday. I love crock pot recipes - thanks for linking this up to Marvelous Monday tonight - pinned! I love crock-pot recipes too. Thanks for stopping by and linking up at Saturday Dishes. Love crockpot meals! Thanks for sharing up at Tasty Tuesdays. Can't wait to see what you link up next week! Pinning! This looks like my kind of meal - easy and quick with a possibility of making it healthy! I love to make extras of things like this to freeze. Thanks for linking up with the Bloggers Brags Pinterest Party. I have pinned your post to the Bloggers Brags Pinterest Board! Thanks for this! Always need a good crockpot recipe! Visiting from the blog hop at Ducks 'n a Row! 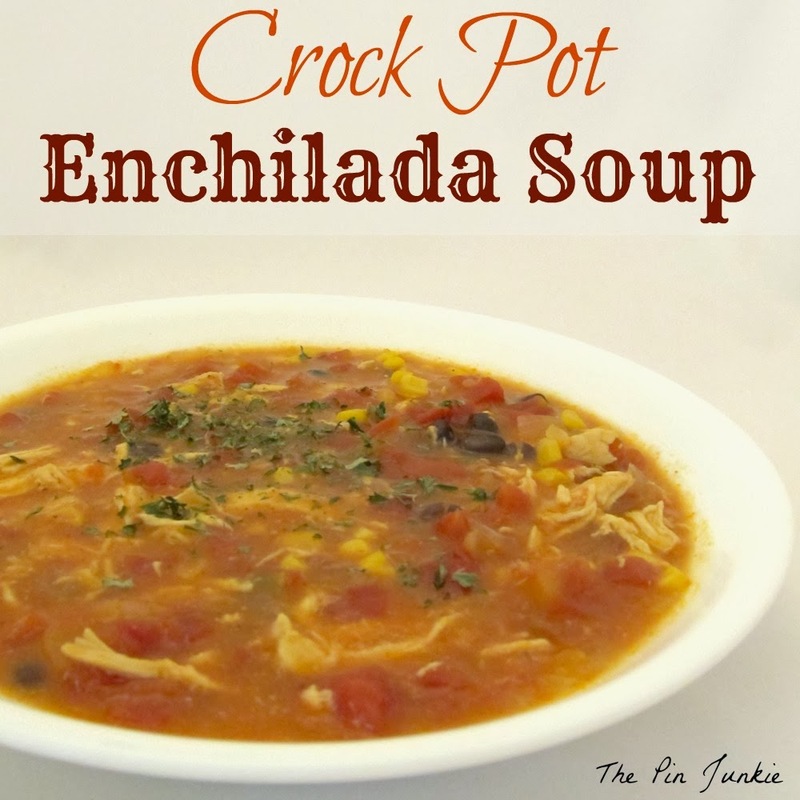 My family has a serious addiction to Enchilada Soup - so we will definitely be trying this. Visiting from the tips and tricks hop on a fresh start on a budget blog. Can't wait to try this! The soup looks delicious and in this cold northern climate I love having a pot of soup simmering. I'll go get the recipe.Thanks for sharing, I like the idea of the hot tomatoes and abit of zing!!! Yay! I actually saw a recipe for this on Facebook and forgot to save it. Featuring you at our blog hop tonight! We love enchilada and tortilla soup! Thanks for sharing on our blog hop and have a warm weekend!! Your Enchilada Soup looks amazing. It is getting cold again in the Northeast and that would be delicious for dinner. Looks like a great soup for a chilly night! And I love that you make it in the crockpot! Definitely trying it! Crock pot meals are wonderful. Thanks for sharing this with SYC. It looks delicious! Thanks for sharing! I love to use my crock pot! This sounds wonderful! Thanks for linking up to Freedom Fridays :) Pinned and shared on FB! Perfect for the winter. Thanks for sharing and linking up with Countdown in Style! Don't forget to come back on Friday to see if you were featured! Yum! This looks delicious! Thank you for linking up to the Hit Me With Your Best Shot Link Party Last week. Hope to see you and your Awesome ideas tonight at 7 EST! When I worked before I had my son, the office had a cafeteria in it and my favorite soup to get was the chicken enchilada soup! There was this Mexican chef who made it to perfection! I never had enchilada anything but this was just soo yummy. This takes me back to that! Thanks for sharing this one with us at Countdown in Style, too! Love the flavors of the soup. Thank you for sharing with Tasty Tuesday. I am featuring it today. Have a great week ! This looks so delicious! Thanks for linking up at Take it on Tuesday!! 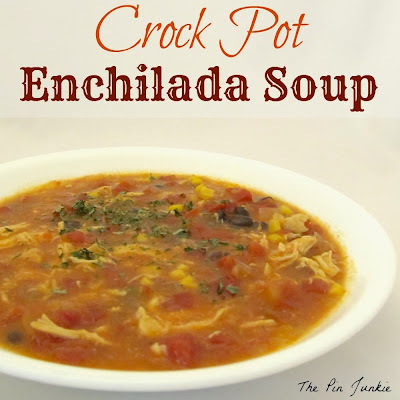 I just wanted to let you know that I'm featuring your Crock Pot Enchilada Soup on my blog tonight! Thanks for linking up to Creativity Unleashed! Thank for the feature! I appreciate it and added your button to my features page! Congratulations! This post will be featured at Diana Rambles tomorrow. It has been pinned in the Featured at Diana Rambles board at Pinterest, Tweeted, and Recommended on G+. Please grab a featured button off my sidebar or via the link under the features. Thanks for sharing this awesome idea! Thanks for the feature Diana! Your button is proudly displayed on my features page. This sounds so good! I wish it was sitting in front of me right now! I featured it today in my soup roundup. You can see it here!